Hello I've not blogged for ages, but I couldn't wait to show these brilliant new stamps and embossing folders from Sheena Douglass. I have to say these are one of my favourites!!. Last year Sheena brought out the Oriental range, well these new goodies are inspired from India. I will be posting sneak peaks all the way up to Monday, when Sheena will be on Create and Craft with the 4 day deal. 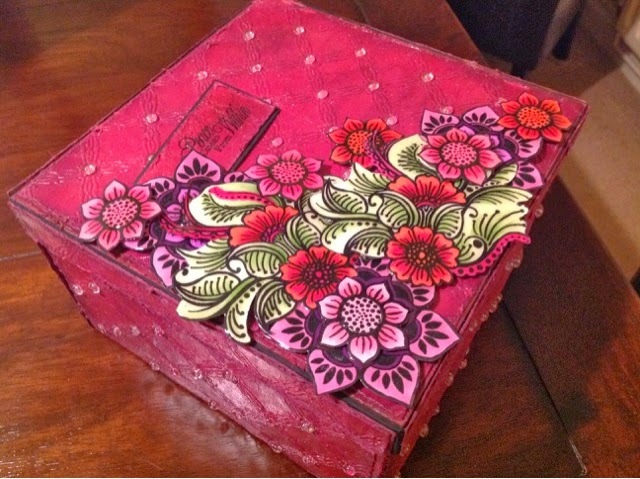 Stunning Caroline, love the embossing and those stamps look gorgeous. This box is fabulous, Caroline and I'm looking forward to seeing it on TV! Day 2 of Indian sneak peeks?